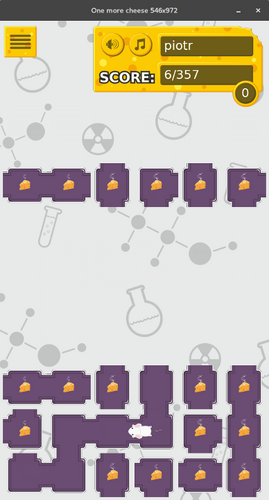 The rules are simple: the board consists of cells which designate the mouse movement. You need to click on cells to turn them 90 degrees clockwise, and let the mouse empty rows (eat a piece of cheese in each one) for the empty row to disappear. The row vanishes as the mouse leaves it. New rows keep falling down. As soon as they fill the board, the game is finished. That's all. 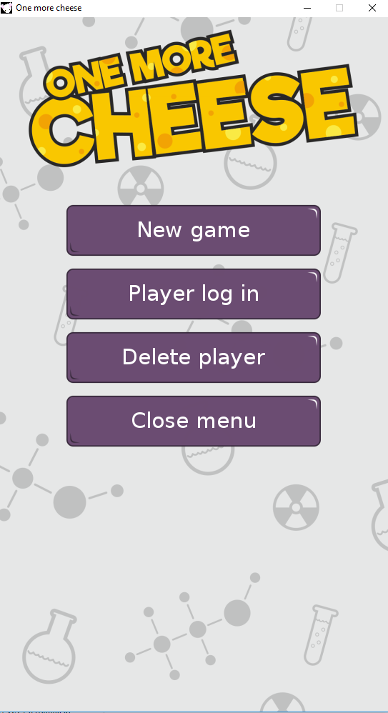 To compete against other players, click the menu button, enter a player name and password. 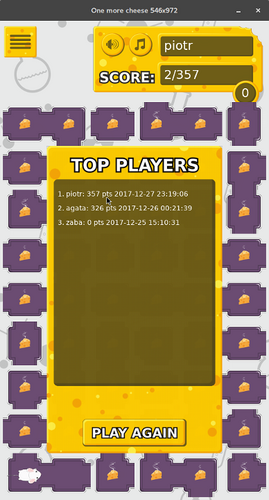 When the game is finished, you'll see the top players' list. If you're logged in, your result is stored here. If you're not in top 10, you can see more results in the right block of the game website. Copyright (c) 2017-2018 Piotr Miller (nwg) - the game concept, code, music; edskeye - the game graphics. All rights reserved. The game concept, the code, graphics and music remain the property of their respective owners, as described above. By installing this software, you agree to respect the intellectual property rights of its authors. The Google Play Terms of Service apply to the Android version. This game in desktop version is free software and can be installed, played and distributed on any Linux or Windows system free of charge. The authors DO NOT agree to any paid form of further distribution. Download the zip file. Unpack the folder anywhere, and enter it. 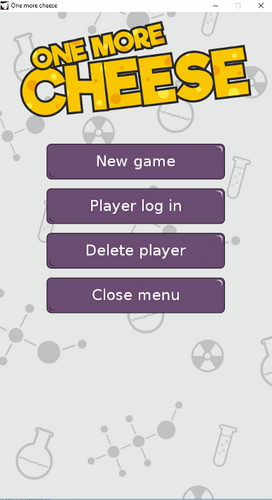 Click on the game.exe file to launch the game. Install the one-more-cheese package from the AUR (Arch User Repository).